Birmingham based British Allied Trades Federation (BATF) received the commemorative ‘Silence Fell’ silverware to mark the end of the Great War. 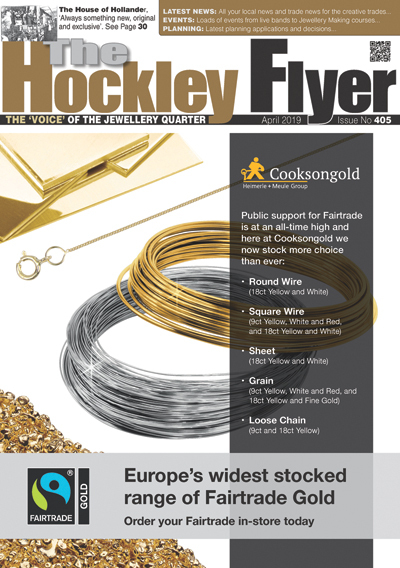 Last year the BATF board decided to commission a special piece to join its boardroom silver collection of over 50 items and tasked one of its member associations, The National Association of Jewellers, to help find a fitting item. 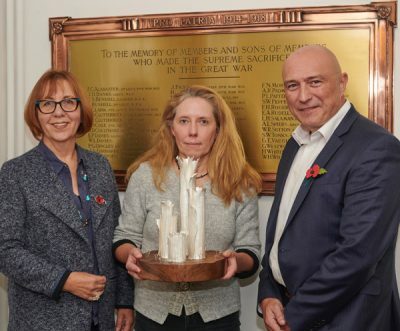 A national competition was held to design and make a piece of silverware to commemorate the end of the First World War, taking that ceasefire as inspiration. At the beginning of the year Claire Malet was announced as the designer silversmith winner and now she presents her piece to Kate Owen BATF Director and Gary Wroe BATF President and MD of Birmingham manufacturing company Hockley Mint. It features four hollow tree forms in Britannia silver, one of each year of the war with silver ‘seedlings’ surrounding the trees symbolizing the tentative hope for a peaceful future, after such overwhelming suffering and loss. The trees have been placed on a subtly carved walnut base turned by Nick Barberton. 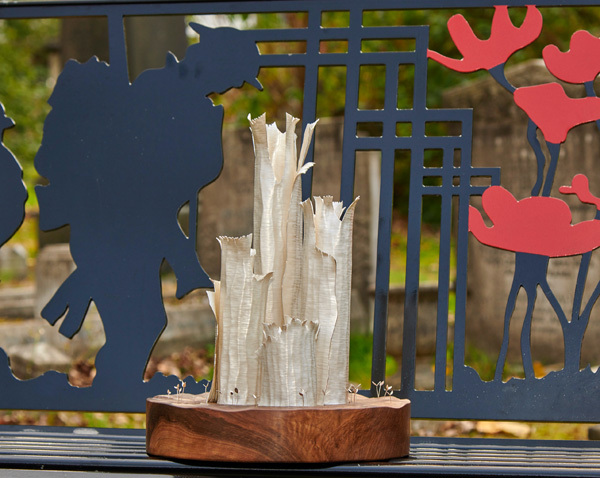 “They have been over 40 hours in the making with the textured and chased silver sheets being bent into hollow tree forms – adding the sterling silver seedlings have brought the piece to life,” Commented Claire. It was hallmarked at Birmingham Assay Office and delivered to the BATF to be displayed alongside other award-winning silverware.